When you lease an automobile like the 2019 Toyota Highlander or the 2019 Toyota Camry, you’ll eventually have to give your car back. You should start preparing to surrender your leased vehicle about 90 days before your contract is due to expire. 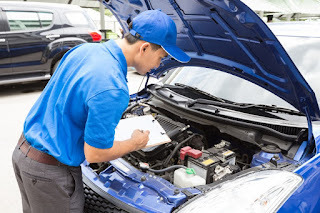 Being Van Nuys, CA Toyota dealers who lease automobiles just about every day, we advise you to schedule an inspection of your car as early as possible during the vehicle return process. During an inspection of a leased vehicle, an inspector will look for signs of excessive wear and tear. If any are spotted, you’ll be given a list of the infractions and an estimate to repair each one. By scheduling the inspection far enough in advance, you’ll give yourself the chance to make the necessary repairs on your own. If you wait too long to have your car inspected, you’ll have no choice but to pay the dealership to make the repairs. To learn more about what you should do as your lease nears its inevitable end, contact Keyes Toyota today.